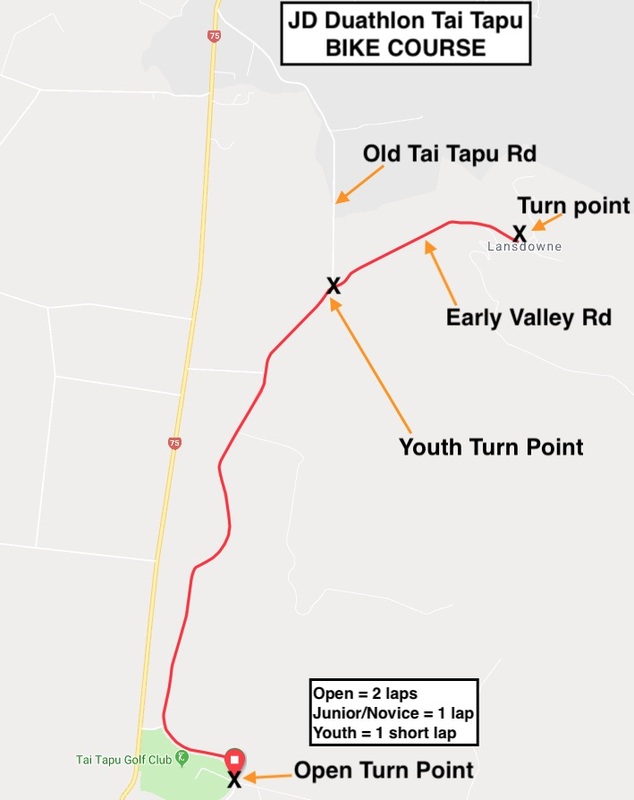 The race venue is Rhodes Domain at the Tai Tapu end of Old Tai Tapu Rd. The domain is the large rugby fields as well as the entrance to the Tai Tapu golf club. The entire course will be on the rugby fields with cones clearly indicating the route. We will also have a marshal leading the first athlete. The bike transition will simply be a coned off area on the hotel side of the domain. We will walk kids over to the start area from the main transition area. For the finish the kids will run down the adult finish chute to cross the line.